COMGUILD Hall of Famer and GMA News pillar Mel Tiangco was accorded the Media Persona of Excellence award. Mel co-anchors 24 Oras and hosts the weekly drama anthology Magpakailanman. 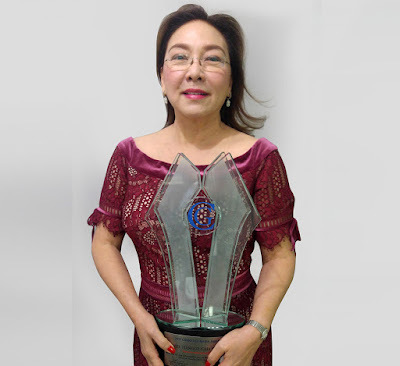 Fellow GMA News pillar, Peabody-awardee Jessica Soho, was once again recognized as Best Magazine Show Host. Her top-rating Sunday program Kapuso Mo, Jessica Soho took home once more the Best Magazine Show award. Another GMA News pillar, Vicky Morales, was named as the Most Outstanding Female News Presenter of the Year for the Network’s flagship newscast 24 Oras. GMA Network dominated this year's COMGUILD Awards, reaping 13 out of the 22 awards both for television and radio categories during the 12th Annual Conference of Journalism and Mass Communication Students of the Philippines. Meanwhile, Unang Hirit further cemented its presence as the country’s leading and longest-running morning TV show, taking home the Best Morning Show citation. Weekly infotainment show I-Bilib, in turn, won as the Best Educational Program while its host, Kapuso personality Chris Tiu, was named as Best Educational Program Host. Several programs and personalities of leading local news channel GMA News TV were also recognized by COMGUILD. Senior news reporter Raffy Tima was conferred the Most Outstanding Male News Presenter of the Year for GMA News TV’s noontime newscast Balitanghali. Weekly ‘feel-good’ newscast Good News emerged as this year’s Best Entertainment News Show while its host, Vicky Morales, was named as the Best Entertainment News Show Host. Lifestyle show Pop Talk won as Best Lifestyle Program. GMA’s flagship AM radio station DZBB also took home major awards. COMGUILD cited Saksi sa Dobol B as the Best AM Radio Program while GMA News pillar Mike Enriquez emerged as the Best AM Radio Anchor.